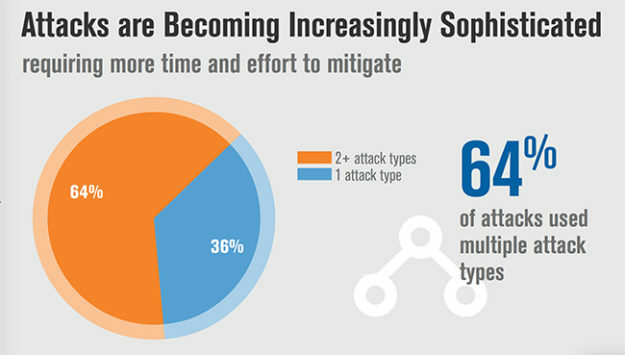 Distributed denial of service attacks — long serving as the weapon of choice for low-skill hackers — are getting more complex, with nearly two-thirds involving multiple kinds of attack traffic, according to new figures. If you need a refresher on what a DDos attack is, check out this definition here. The figures, from Internet infrastructure giant Verisign, cover the second quarter of 2016. They show that DDoS attacks also continue to grow in size. The average peak size of all the attacks experienced by Verisign customers during Q2 was 17.37 Gigabytes per second. Although that’s down very slightly from Q1 (19.37 Gbps), it’s more than triple the average peak for Q2 last year (5.53 Gbps). The largest attack the company mitigated during the quarter peaked at more than 250 Gbps, the report states. But it’s the growth in the complexity of the attacks that’s more attention-grabbing. 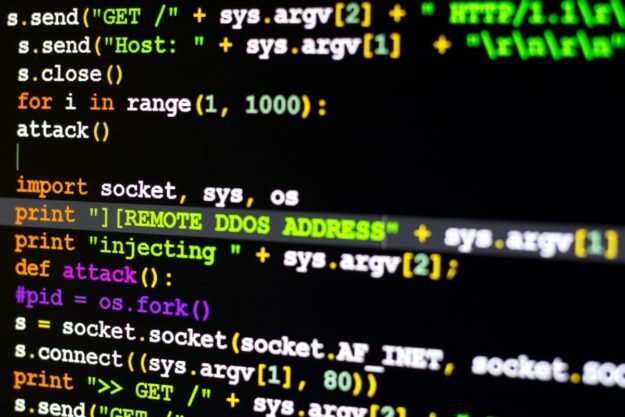 DDoS attacks flood their targets with fake traffic, overwhelming websites so legitimate visitors can’t get access or bombard other public-facing infrastructure.